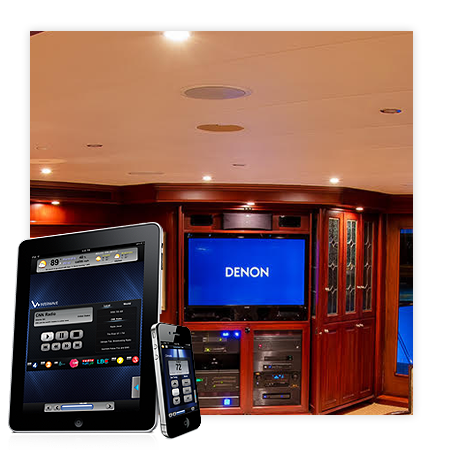 Marine Electronic Installers has a variety of solutions to suit your A/V Entertainment needs. 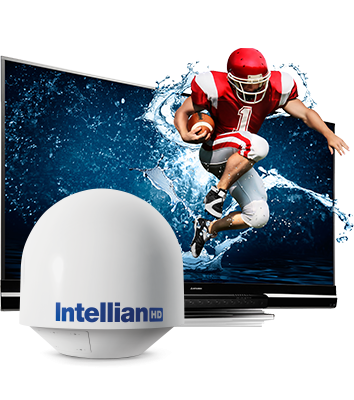 MEI uses only top of the line Audio Visual Entertainment products. Whether Whale watching in Alaska or trophy fishing along the equator. We select the ones that have been tried and truly tested in the rigors of the harshest Marine Environments. Crestron, DirecTV, Apple, SONOS, Middle Atlantic, Bose, Speakercraft, Sonance, Yamaha, Denon and Samsung have proven more than capable. Strong factory warranties combined with seaworthy products resistant to heavy wear and tear from mother nature. A combination of these components will deliver the ultimate in Home Entertainment experience for your boat. Marine Satellite TV is the cornerstone for supplying your boat’s Entertainment desires. Having a big under cabinet television with no channels can be frustrating. Having Satellite TV Systems on your boat gives you all the same spoils as watching TV from home. Do you want to watch your local sports teams or news? 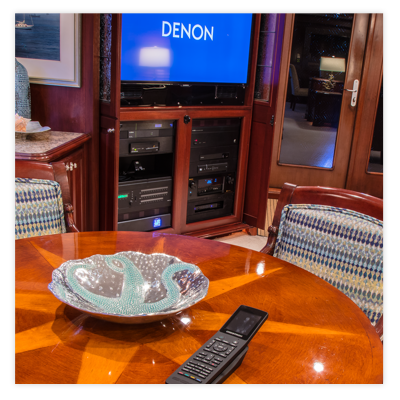 You can enjoy from the flybridge, cockpit, salon, galley, stateroom, cabin or crews quarters with DirecTV and the proper Marine Satellite Antenna. Monitors have even started showing up in the Head too. 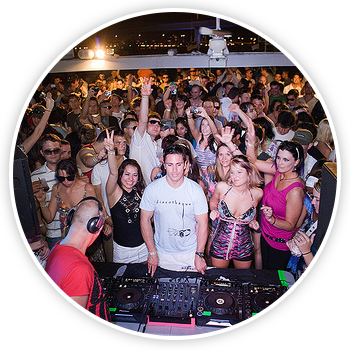 Wash and Watch - whatever you desire, MEI has you completely covered for your boating and AV Entertainment needs. It was only a few years ago that the mere mention of a TV on board your vessel would stop traffic. Now you can have the same eye popping and ear blasting systems on your boat. With the cost of audio / video products staying relatively flat for quite some time. You don’t have to expect the sticker shock associated with most marine electronics. This is the one area on your boat that is the easiest to upgrade without breaking the bank. All of your onboard audio/video entertainment can be bundled into one controller that is able to be manipulated from anywhere. 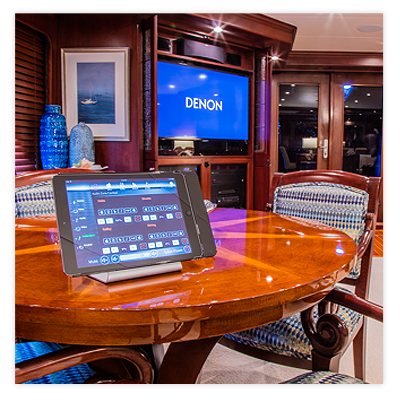 The ability to have concert quality sound all over your vessel has never been made so easy. 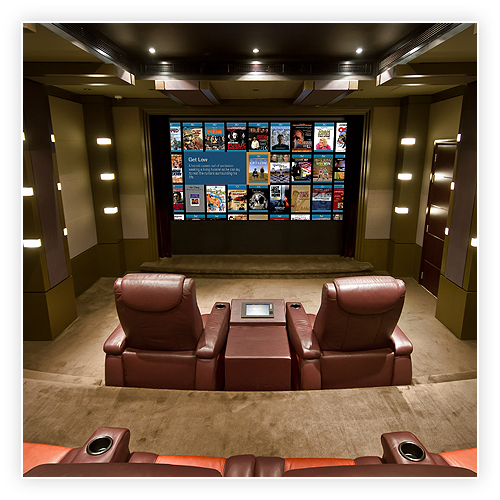 Watching the newest releases from Hollywood in a home theater style setting with monster sized screens is only the tip of the entertainment iceberg. Of course you should hire a Marine Electronics expert to handle setting up these systems. 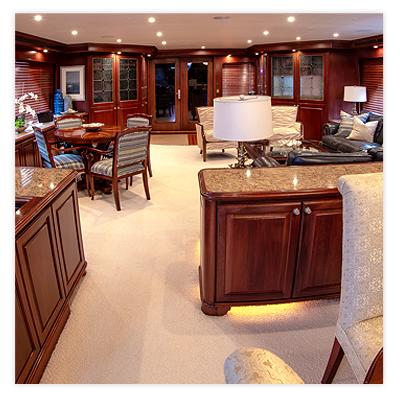 Marine Electronic Installers will guide you through this process. Integrating all of these systems into 1 smooth operating application can be difficult so remember MEI next time you plan an entertainment upgrade. The Sound system you choose can be scaled in either direction. Whether you prefer rock star loud or smooth listening jazz or classical. 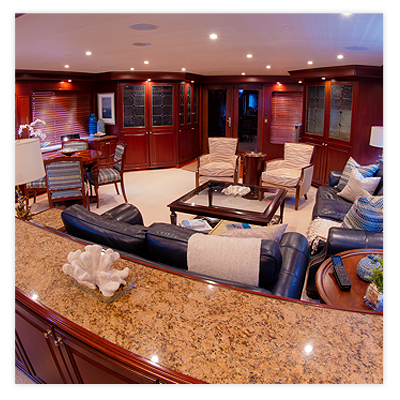 We can help you find the perfect system to suit your marine sound system needs. A good marine stereo should be matched with the proper marine speakers. Marine receivers can always add peripheral items down the road to boost your marine stereo system. Marine subwoofers and marine amplifiers are the way you get the most out of your marine stereo systems. The best waterproof boat speakers for a boat come from a variety of manufactures with reputable brands. Infinity Marine Speakers, Alpine Marine Stereo, Jensen Marine Stereo, Kenwood Marine Speakers, Clarion Marine Speakers, JL Marine Speakers, Kicker Marine Speakers, JBL Marine Speakers, Polk Audio Marine Speakers, Pyle Marine Speakers. The best marine grade speakers have a multitude of options: Marine Box Speakers, Marine Bluetooth Speakers, Bluetooth Marine Amplifier, Marine Sound Bar and LED Marine Speakers are just a few options. If you have any questions about Satellite TV for boats just give us a holler.